Were you aware that standing water will begin to grow mold within 48-72 hours? 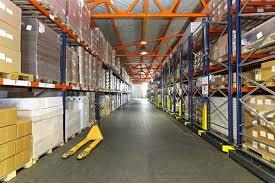 In a warehouse, it’s vital to not have any of its interior exposed to outside elements, says MovinCool. Ideally, routine inspections to check for any possible exposures that could allow water to leak through will be performed. Even so, however, often a built up of moisture from high and enduring humidity conditions and the resulting, condensation can prove to be the culprit for mold development. A portable dehumidifier will help keep humidity levels down over time and help to slow or altogether prevent moisture buildup. However, sometimes, certain details do get overlooked, and the need to use water damage restoration techniques comes into play. In these scenarios, it’s smart to act fast. You’ll want to quickly remove any water from the warehouse. It’s also a good idea to check for any water damage to any of the items that may have been stored in the warehouse and to also move them to a dry location. Proper ventilation for the warehouse is now a necessity. Open any doors or windows to the warehouse and you’ll be allowing air to travel in and out. You’ll benefit too by knowing that a rental portable air conditioner is quite a handy tool to use continuously in the warehouse. It helps prevent the growth of mold. The air moving out of the air conditioner aids in keeping mold from developing inside a warehouse as it flows and circulates the warehouse.